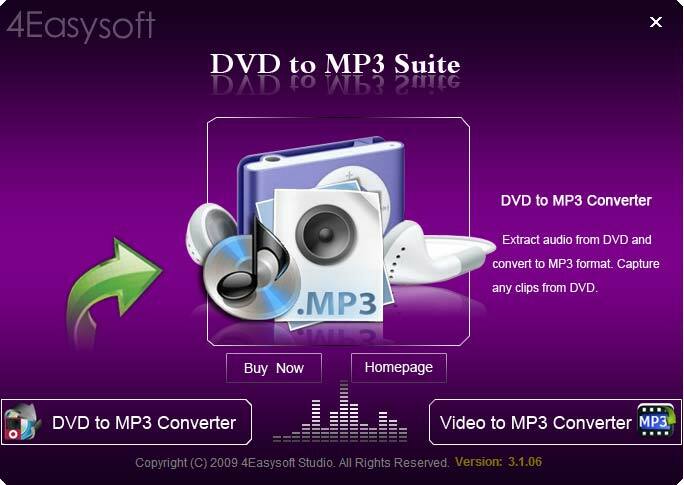 4Easysoft DVD to MP3 Suite is all-in-one MP3 conversion program packing with DVD to MP3 Converter and Video to MP3 Converter. Obviously, it contributes to convert DVD files to MP3 files for playback on most digital audio players, and convert video to MP3, including YouTube, AVI, WMV, MPEG, ASF, MP4 to MP3, etc. Then you can enjoy the converted file on your MP3 players freely. 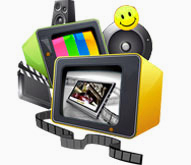 Better yet, 4Videosoft DVD to MP3 Suite supplies you the abilities to get any time length DVD audio/music clips, acquire one successive audio file from several files, capture picture, set audio properties, choose your want subtitle and audio track, and more. 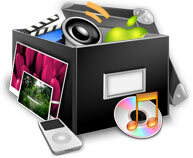 4Easysoft DVD to MP3 Converter in this suite provides the best way to convert DVD to MP3, MP2, OGG, WAV audio files. 4Easysoft DVD to MP3 Suite supports all commercial DVDs, including DVD with the restriction of CSS, Region, RCE, Sony ARccOS. With 4Easysoft DVD to MP3 Suite, You can convert any part of your DVD or video/audio by the trim function, only by dragging the slide bar or setting exact start and end time. All the parameters of profile can be provided for you to choose the exact settings for your players with the assistance of DVD to MP3 Suite. Adjust audio Encoder, audio Sample Rate, audio Channels and audio Bitrate. Merge several files into one for your successive enjoyment by checking "Merge into one file" box. 4Easysoft DVD to MP3 Suite provides the fastest conversion speed, completely supports dual core CPU. It is really easy to use. 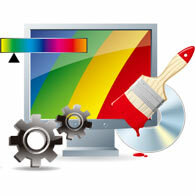 The whole conversion process can be finished in few clicks.